The National Redress Scheme will provide support to people who were sexually abused as children while in the care of an institution. The establishment of a National Redress Scheme was recommended by the Royal Commission into Institutional Responses to Child Sexual Abuse. The Scheme is one way Australian governments are working to acknowledge and help people who experienced child sexual abuse. It is designed so that relevant organisations take responsibility to make amends for sexual abuse that happened to children they were looking after. The Commonwealth Government is creating the Scheme, and it has promised to provide redress to people who were abused in places that were run by the Commonwealth. This includes places such as the Australian Defence Forces and cadet schools and onshore immigration detention. So that redress can be provided to as many people as possible, other governments and organisations have been invited to join the Scheme, which is called ‘opting in’. The Commonwealth Government is pushing for all state and territory governments, churches, charities and other non-government organisations to join up to ensure that a truly national Scheme is available to as many people as possible. State and territory governments have responded to this invitation, and have also worked closely with the Australian Government on the design of the Scheme. In addition to the Commonwealth Government, so far the governments of New South Wales, Victoria, Queensland, South Australia, Tasmania, Northern Territory and Australian Capital Territory have all committed to join the Scheme. Western Australia remains the only state yet to commit to joining the Scheme. The Commonwealth Government is working with the Western Australian Government, and we hope they will join soon. 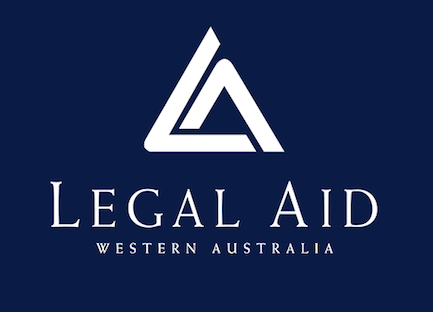 This means that non-government institutions like churches and charities can provide redress for abuse that occurred in all states other than Western Australia. We are pleased to announce that six major non-government institutions have committed to join the Scheme. The Catholic Church, the Anglican Church, the Salvation Army, YMCA Scouts Australia and the Uniting Church have all announced that they will join the Scheme and provide redress to people sexually abused as children in their care. When each state government or non-government institution joins up, it promises to pay for redress for people who were abused in its care. Payments will be assessed on a case-by-case basis, reflecting the severity and impact of the abuse experienced with a maximum of $150,000. Redress is about acknowledging the harm caused and supporting people who have experienced institutional child sexual abuse to move forward positively in the way that is best for them. The National Redress Scheme is an alternative to getting compensation through the courts – you can do one or the other, but not both.